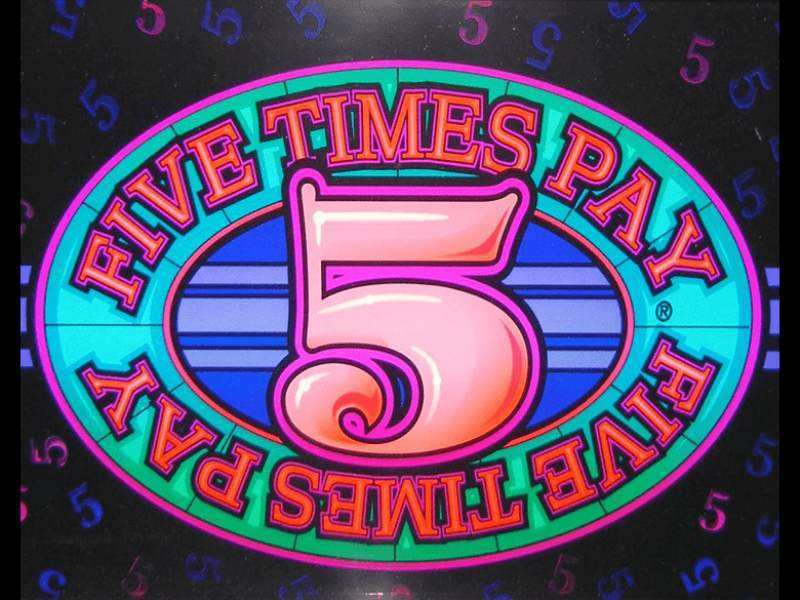 Five Times Pay slots is a wonderful casino game offered by IGT developer. This game is most popular among high rollers who enjoy old classic slots. However, the easy gameplay and the simplicity of the game make it a suitable option for new players, too. The game is actually a classic three-reel and one-payline game with no certain theme. What attracts gamblers in this slot most of all, is the huge payout equal to £75,000! This can't but sound tempting! As far as the theme of 5x Pay game is to be considered, there is no certain description. The games are different, yet what combines all of them is the classic graphics. Surely, nowadays the industry is filled with captivating, modern and fancy theme slots. Yet, as it runs out there are still numerous players who seek simplicity and the breath of classics during the gambling. The color scheme and symbols in 5 X Pay slots are still vibrant, yet, just like with old classic slots, they do not distract the players from the main purpose of the game. In case the player has some luck and hits 3 Red colored Sevens on the display reels, he gets 180 credits! What refers the wild icon, here it is represented by the game’s logo. You see that everything is utmost simple. In case the player gets this logo on any reel, he can substitute any other to make a winning combo. Additionally, this icon can become a multiplier, as well. If you have the icon as a part of your winning combo, it increases the winning to five times! However, if you are lucky to get two Wild features in your winning combo, your payout will be as much as x25! Even though the slots provide no bonuses, the multiplier icon can bring you as much as 15, 000 credits if you succeed to get three wild features! Generally, the Five Times Pay slots game is perfect for those who are not yet ready to wager big money. The minimal betting to start the gambling is one cent. The maximal amount of money you can bet on a single spin is 5 dollars. By the way, this slot machine accepts $, € and £. The maximal payout is 75 thousand credits! Nevertheless, up till today, the highest jackpot a player has ever won by playing Five Times Pay slots is 15, 000 credits! As compared with plenty of other slot machines, this IGT slot can be played exceptionally in either Flash or Instant Play versions. Before you play free Five Times Pay casino slot machine, you can achieve some practice online with no deposit. Just play with online fake credits till you find you are ready for a real gameplay. No download is required for playing the casino game. Those players who have Linus or Mac systems will find playing the 5X Pay slot even more interesting and captivating as no compatibility problems will occur between the casino’s software and the PC system. 0 responses to "Five Times Pay Slot"